Fronsac is a wonderful appellation lying to the north of Pomerol. From its high slopes and rolling lands, one can look down on the flat terrain of Pomerol and believe that the terroir is superior here. There is some truth to this as the wines are of very high standard: ripe, rich and fruity with good tannin and an aptitude to age, these are wines that can also be enjoyed when young. 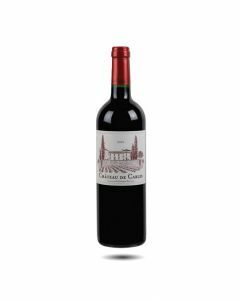 They are also substantially cheaper than the wines from St. Emilion and Pomerol, although in the 18th century the reverse was true. Fronsac enjoys a rich history. The Romans lived and traded here and created the famous Gaul market alongside an impressive altar. Charlemagne, the Vikings and Cardinal Richelieu all played a part in Fronsac’s history. Today there are officially two appellations Fronsac and Canon Fronsac, although some producers just use the simpler name. Canon Fronsac tends to have more sand and gravel in its soil than the clay and limestone of Fronsac. Both appellations benefit from the effect of the Dordogne River, which they face.